Dads2Dads LLC | Real Dads. Real Talk. 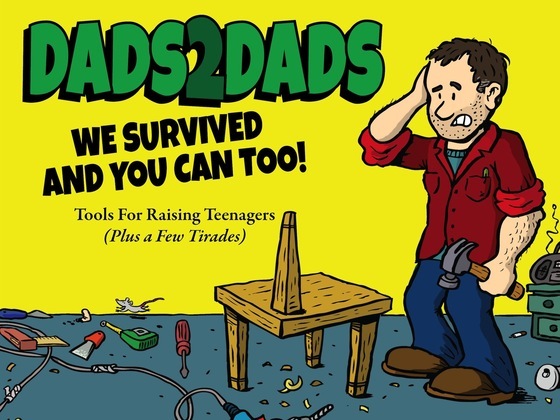 Writers of a syndicated column on fatherhood, presenters of workshops on the challenges of raising children, bloggers, and authors of the book, Dads2Dads: Tools For Raising Teenagers, Tom and Bill survived the journey of fatherhood and can help you do the same. With an humorous, heartfelt, and helpful perspective on being a dad, Tom and Bill provide a safe environment where men can communicate with each other about the joys and heartaches of parenting. Buy the Dads2Dads book on Amazon. Tools for Raising Teenagers provides practical perspectives from two regular dads who have survived the challenges of raising teens. Check it out here. These two fathers have been through the ups, downs, and sideways directions of being fathers. They’ve taken that experience and turned it into an opportunity to give other dads a place where they can connect and make being a dad just a bit easier. It all started with a few conversations over lunch about how they felt frustrated or unappreciated by those they love the most. As they talked about those feelings they wondered if other fathers felt the same way. Turns out they do. Lots of them. So, after working with other dads, conducting focus groups, giving talks and living through the challenges of fatherhood, they’re out of the café and on to the web – real talk from real dads! 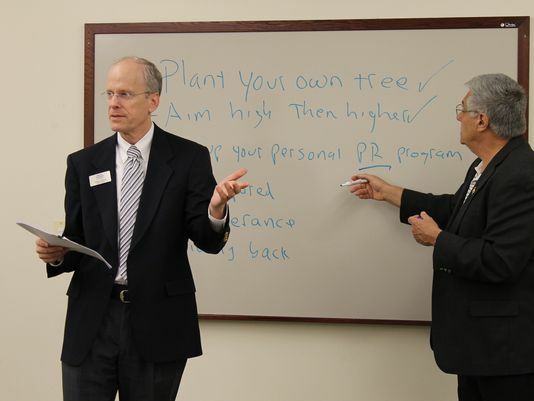 Tom and Bill provide practical information for dads on becoming more involved fathers, for moms on helping to connect their husbands to their kids, and for teens on reaching to higher levels. Follow them on Twitter or friend them on Facebook (dads2dadsllc), or contact them at tomandbill@dads2dadsllc.com and start a dialogue.